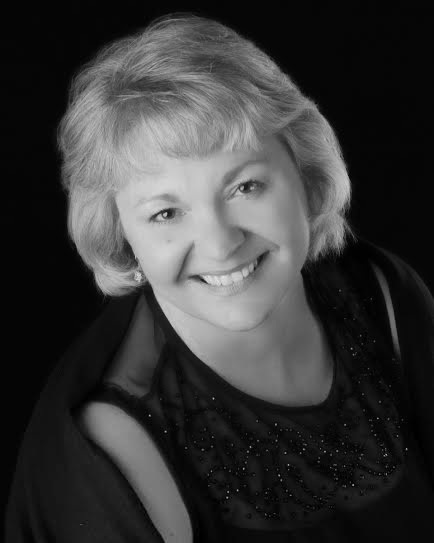 Today I am delighted to share an author interview which is a special holiday feature because the author Marian P. Merritt has written not one but two Christmas books! Marian is a talented author who pays attention to detail as she creates these wonderful story worlds filled with captivating characters and story lines that keep you reading. Best of all, Marian would like to giveaway one e-book copy of A Cajun Christmas Miracle and one e-book copy of Deep Freeze Christmas! You can enter the book giveaway contest by answering Marian's question for my readers which is found at the end of this interview. You must include your e-mail address in your comment in order to be officially entered into the contest because we will need it to contact you if you win in order to make arrangements for you to receive your prize. The contest starts today, Nov. 30 and will end Sunday, Dec. 14. Alexis will choose the two winners via an old-fashioned random drawing and make the announcement on Monday, Dec. 15. Alexis: You have two holiday books: A Cajun Christmas Miracle: A Belle Camellia Novel and Deep Freeze Christmas (a novella). Today we’re going to focus on the latter but first I’d like for you to tell my readers about A Cajun Christmas Miracle. What is it about? Marian: It's about Mandy, a single mom of a three-year-old boy who has autism and her struggles when her husband abandons her and their son. She returns to Belle Camellia, the Louisiana Plantation where she was raised with her son. To complicate matters, the high school boyfriend she hasn't really gotten over is next door working with rescue horses. 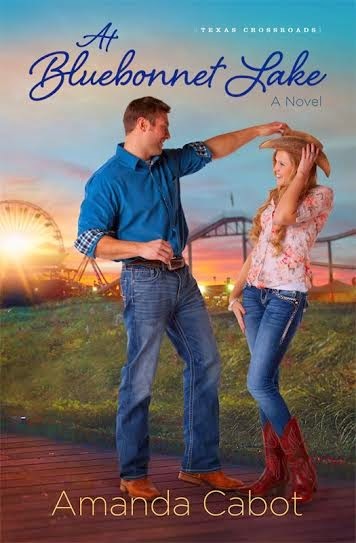 When her son bonds with him and his horses, Mandy has to deal with a lot of emotional baggage. It was simply a story written out of obedience. God directed it and I followed through. Most of my stories have a Colorado/Louisiana connection so the natural progression for this story was to follow that pattern. What’s the meaning behind the title (who’s Belle Camellia)? Belle Camellia is the name of the plantation home where Mandy grew up. The home has been in her family for generations. It's common in the South to name great plantation homes. Finally, what do you hope your readers will remember the most? I pray that whatever difficulties they have in their life, they'll know the power of forgiveness and that God is a God of second chances and of miracles! Alexis: The cover to your book looks beautiful and cozy! Who designed it? Marian: Pelican Book Group's Editor–Nicola Martinez. She designs all of Pelican's covers and does an awesome job. Part of the fun of the Christmas Extravaganza each year is the unveiling of the covers! Why do you call your book Deep Freeze Christmas? While not a series, my last Christmas novella was called Southern Fried Christmas and dealt with a woman from Colorado venturing to Louisiana at Christmas. Deep Freeze Christmas is the opposite, a Louisiana chef goes to Colorado for Christmas. I love putting characters in settings that is totally different than what they're accustomed to and letting my readers experience the setting with them. In the south, a freezer was often called a Deep Freeze. So in keeping with the Cajun food element, the novella was called Deep Freeze Christmas. Also because, the temperatures drop below zero while our Cajun girl is cooking in the Colorado mountains! How long did it take you to write this holiday story? Where did you write it? Describe your writing space. Because this is a short story, it was written in three weeks. I started just before Christmas. Writing during that time helped to bring the Christmas feeling into the story. What was your source of inspiration for creating the characters? I really didn't have a specific source. Most of my stories start with a character first then the plot revolves around the character. In keeping with my tagline: Where the Bayous Meet the Mountains, I usually have several Louisiana and Colorado characters floating through my head. Who are your main characters and what makes them memorable to the reader? Leona Buquet (pronounced Bu-kay) is a sous chef from Louisiana in Colorado to cook for a group of movie executives. Her mentor and boss Julian Mayeux (My-you) is the famous head chef and owner of Mayeux's, an iconic New Orleans restaurant. Leona's main focus is to raise enough money and learn as much as she can about cooking and running a restaurant so she can re-open Leo's, her family's restaurant that was destroyed during hurricane Katrina. Her focus changes when she meets Cameron Fleming. Cameron Fleming Jr. is the handsome son to the movie mogul, CG Fleming. His attitude and character are not the typical handsome, wealthy Hollywood type. He is unhappy working for his father's business and has unfulfilled dreams of his own. Where does your story take place? I see there’s a cabin in the woods on the cover so I’m guessing the Midwest, right? Why did you choose that setting? The story takes place at a mountain lodge in the Rocky Mountains near Steamboat Springs, Colorado. I've visited Steamboat Springs many times and love the area. It's a winter wonderland during Christmas. So it was the perfect place to set my story. Your holiday story world is very descriptive and pulls the reader in, making them feel right home and the food sounds delicious! Do you have a passion for cooking? Where did you get your inspiration for such a delightful imaginary place? I like to cook, but the planning part is not my favorite. I consider myself a cook and not a chef! I love looking through websites and magazines of floor plans. It's just something I've always done. So I've been able to create MY perfect mountain lodge. I love how you have a “Cajun Pronunciation/Definition Key” on the final few pages of your book. What inspired you to do so? After my first novella, Southern Fried Christmas, came out, a few readers said they couldn't figure out how to pronounce some of the names or words. So the idea for the key came about as a way to help my reader have a more interactive experience with the story. The Cajun French language is slowly dying and this is my small way of keeping it alive. Just for anyone who may not know, what does Cajun mean? Describe the term historically and talk about how it’s used today. "A link with a proud past, a Cajun is a man of tolerance who will let the world go its way if the world will let him go his. He is a man of great friendliness who will give you the crawfish off his table, the Sac-au-Lait off his hook or the shirt off his back." You do a good job of “showing” and not “telling” your characters’ actions, emotions and feelings in Deep Freeze Christmas. What writing advice do you have for aspiring authors who want to weave a beautiful, skillful story like this one? Study the craft…write…study…write and repeat for the rest of your career. The best advice I got about showing vs telling is to image that your story is a movie and you want to paint pictures with your words. Anyone can tell a story, but a true storyteller is the one who can show a story. If you could spend Christmas Day with one of your characters in Deep Freeze Christmas, who would it be and why? I'd love to spend Christmas day at Mayeux's restaurant with all my family with Chef Julian and Chef Leona and Cameron and their family. It would be great to help with the cooking in a professional kitchen and to exchange childhood stories. Complete this sentence: I write holiday stories because ________________ . I write holiday stories because it's a great time to remember God's ultimate gift to mankind and showcase how He works in our lives. Alexis: Thanks for the interview, Marian! Please ask a question for my readers to answer so that they have a chance to win a copy of your books. Marian: Readers, why do you like to READ holiday stories? And what setting is your favorite? Marian Pellegrin Merritt writes stories that blend her love of the mountains with her deep Southern roots. 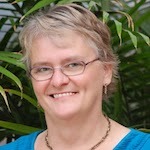 She is an author and freelance writer with over ten years experience. 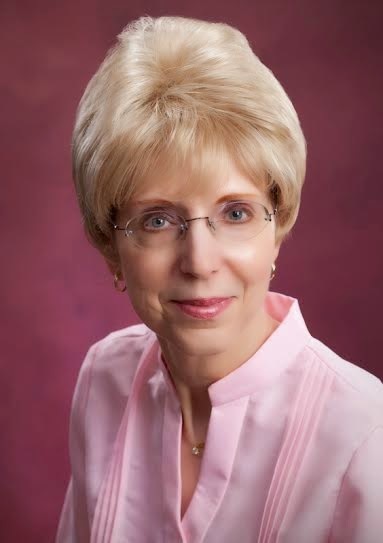 Her work has appeared in newspapers, magazines and online websites and garnered a first place award in ACFW's Genesis contest. These are lines (above) on the first few pages of A Blessed Blue Christmas by LoRee Perry. The holiday story is a Christmas novella written for Pelican Book Group’s Christmas Holiday Extravaganza. According to the book blurb (and I paraphrase), the holiday story centers on two main characters--Dahlia Delisi, a store owner whose faith is faltering and Sloan Letheby, newly transformed after a brush with death that brought new meaning to his faith in God. The author LoRee throws in suspense elements to her story which you will have to read to find out what happens. It's also a love story not just between the main characters but with their individual relationships with God. 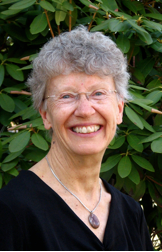 LoRee is known for writing stories that are "Redeeming Grace with a Sense of Place." She said, "Grace to a Christian represents God’s unmerited favor. I did nothing to be redeemed by the blood of my Jesus Christ. Sense of place can be construed as literary. My stories are set in Nebraska so a sense of the state and its people is bound to be on the page. I try to reveal God’s redeeming love for His children through my characters." Alexis: The opening scenes to your book A Blessed Blue Christmas are set at Christmastime. What is it about this holiday season that inspires you? LoRee: What doesn’t inspire me about Christmastime? The only thing that mars the season for me is obsessive marketing…that means Thanksgiving gets lost. I try to avoid shopping among the masses. My home is an oasis with favored decorations, books, family memories, and music of the carols. Simply said, what is your holiday story about? Dahlia Delisi has poured her life into her store, The Blue Dahlia. Once her faith was strong, and her life was on a different course. But when Sloan Letheby left town, Dahlia drifted away from God. Sloan Letheby has been transformed. His brush with death brought new meaning to his faith in God, and he needs to right old wrongs. However, there's a murder plot in the way of his reunion with Dahlia. Can he find a killer before it's too late? And can Dahlia accept him...and God, back into her life? Is there a special meaning behind the title? If yes, please explain. You ask good questions, Alexis. I had to go back in my memory bank and don’t have a definite answer. It probably came to me as the result of several things. Maybe I heard Elvis singing “Blue Christmas.” Part of my preparation for each story is collaging. I was drawn to the picture of a black-haired beauty with striking blue eyes who brought to mind the mystery of Hollywood’s famous unsolved crime, The Black Dahlia. Ideas spark ideas and unless the Spirit prompts me differently, I go with what comes to mind. What is The Blue Dahlia mentioned in Ch. 2 of your book? Explain its significance to your story. The Blue Dahlia is the boutique Dahlia owns. Her business is where U.S. Marshal Sloan goes to speak with her sister-in-law, who is employed by Dahlia. Dahlia is your leading lady and Sloan is your leading man. Give my readers a glimpse into your sketches of these two characters. Dahlia and Sloan grew up in a farm community south of Lincoln, Nebraska. They were crowned King and Queen of the Christmas Ball their senior year. And then attached to each other’s side for the next six months, during school hours. He was a track star and she played an instrument. After graduation he moved away to go to school in the East. She traveled west to college. Life happened and kept them apart. Losing touch with Sloan created trust issues in Dahlia’s heart, and he lived with regret. How did you create the names for your main characters? Do you have any advice for aspiring authors on how to choose captivating and creative names for story characters? Finding names is always fun. I consult a list I’ve compiled list and a couple baby name books, one that adds scripture. I say the names out loud and the H/h names together. This year I had to come up with an alphabet grid because I realized that I’d used similar names for two stories…an upcoming release features Deena and Simon, names too similar to Dahlia and Sloan for my liking. I try to use one syllable in one name and two or three for the other. But it doesn’t always work out that way. As per advice, authors should be comfortable with the H/h names because he or she will be living with them for months. A long time ago I heard a writer suggest authors should select soft sounding names for heroines and those with a hard sound for heroes. Not too soon after the start of the story, Sloan says a prayer. Do all of your characters believe in God? How did you incorporate faith into your storytelling process? I believe Christian authors have a responsibility to bring Christ into our stories. Not all my characters start out as believers, but they end up committed and become willing to follow the Lord’s leading. It’s hard not to sound “preachy” and I am probably guilty of that on occasion, when I speak through characters. Many believing authors connect God’s message without making sin and salvation blatant. In A Blessed Blue Christmas, Sloan’s quiet belief and the pastor’s Christmas Eve message impact Dahlia. Why is Sloan so fixated on Dahlia (besides the obvious reason—he’s smitten)? Sloan always regretted not contacting Dahlia and telling her what happened to make his family priority when they parted for college. What was the most challenging part of writing A Blessed Blue Christmas and what was the most rewarding? The challenge had to do with the plot against Dahlia’s brother and coming up with a farm accident that was planned. The most rewarding, as always, is when characters come to the end of themselves and change because of relationship with the Lord. Describe your writing routine. Do you have a special place you write? Do you have a favorite food that helps you during your writing process? How often do you write? I try to write something every day but life happens. It may only be journal entries, but words come out of me somehow, somewhere. I have just this year leaned the satisfaction of completing a first draft without any editing. My goal was to average 1,000 words a day for 30 days and I had 36,000. However I come up with a first draft, I then continue to layer from beginning to end, with a lot of cutting and pasting and repositioning, until I’ve got the story down. When I’m planning a story I often go to the kitchen table, where I can spread things out and fill out questions pen to paper. In most rooms of the house, and my SUV, I have notepads. For some crazy reason, insight comes in the shower, or when I’m driving! I write the first draft on a PC in my study, the room upstairs that used to belong to my son. The walls are lined with eight crammed oak bookcases, and lots of my favorite things. Sometimes I play music, often my fingers fly in silence. Except for galley proofs, I print and edit on paper, from my easy chair during commercials. That’s how I learned to proofread on the job and things still jump out at me on paper clearer than on the screen. I like chewy candy and when I’m working things out, as in thinking hard until sometimes my brain hurts, I chomp on gummies, cherry bites, black licorice, or salt water taffy. So far, I haven’t loosened any fillings. My reward for completing tasks is melt-in-your-mouth chocolate. What are you hoping readers will remember the most about A Blessed Blue Christmas? What’s the take-home message? That question could be considered a spoiler, but I’ll say off the top, Dahlia needs to learn how to trust. I believe if a reader is to get something out of Christian fiction, it’s up to the Holy Spirit to give the reader a message. When was A Blessed Blue Christmas released and how much does it cost? A Blessed Blue Christmas was released in 2013 as part of the Christmas Holiday Extravaganza. Last I checked, prices vary from 79 cents to $2.99. Complete this sentence: My ultimate favorite Christmas song is_________. My favorite Christmas song is “Joy to the World” because the title is followed by the reason for Christmas: the Lord is come. I like all traditional carols and “O Holy Night” never fails to give me shivers or bring a tear…I don’t care much for modern Christmas songs. *Exciting news for my readers*: LoRee has agreed to give away one free e-book copy of A Blessed Blue Christmas! If you want to win, simply answer LoRee's question below. Leave your answer in the comment section found at the end of this blog post. The book giveaway contest starts today (Friday, Nov. 28) and will end Monday, Dec. 8 when I announce the winner who will be selected by me via an old-fashioned random drawing. Have you ever felt lonely and blue at Christmas? How did you overcome? 10) ALL of God's blessings! What's so special and unique about today's featured author? She's not a U.S. citizen! Valerie lives on a small farm in a mountain valley in southeastern British Columbia, Canada. It was wonderful to interview Valerie about her life on the farm and to learn about her love for writing stories that revolve around farmers and interesting characters who love food and tea. Now here's what's in it for you: Valerie will give a free Sweetened with Honey e-book to the winner of her book giveaway contest! The contest starts today (Sunday, Nov. 23) and will end on Sunday, Dec. 7. Alexis will announce the winners via an old-fashioned random drawing on Monday, Dec. 8. You can enter the contest by answering Valerie's question at the end of this author interview. Remember to include your e-mail address in your comment so Valerie can send your e-book to you if you win. Alexis: A Farm Fresh Romance is the name of your book series. Tell me about it. Why did you choose that title for the series? Valerie: The Farm Fresh Romance series follows the adventures, romantic and otherwise, of several young women who band together to buy a farm. Their goal is to grow their own food and live as sustainably as possible. They no longer expect to find romance, but it does indeed find them! So the reasons for the words "farm" and "romance" might be obvious. What I'm going for with the word "fresh" in the middle is that the setting isn't your everyday commercial farm, nor is it a historical farm, but one operated in a way relevant for this millennium. Is there a personal connection between you and your characters in the book series A Farm Fresh Romance? If yes, explain. Rosemary has gotten in a rut and forgotten what she loves about farm life. Now that her kids are raised and have moved on, she's lost her joy in gardening and canning. But like me, something came along and challenged her to look at her life through new eyes again. For me, that was when my son and his wife were in university and became avid locavores (local food advocates). They decided to move back home after graduation so they could pour themselves into a food-production lifestyle. This from the boy who tried every excuse in the book not to help with chores when he was younger! But I was also surprised to find that many of their friends were jealous that they had a farm they could tap into. I began to wonder what it would look like if a bunch of city-bred girls bought a farm together and tried to grow their own food. What kinds of challenges would they face? And the Farm Fresh Romance series was born! By the way, my son and his wife have lived on our farm for 4 1/2 years now and have a toddler, one of my three young granddaughters. I love being in a position to help ensure healthy real food for these little treasures! Give my readers insight into each of your books from A Farm Fresh Romance series (Raspberries and Vinegar, Wild Mint Tea and Sweetened with Honey). The second tale, Wild Mint Tea, finds chef Claire Halford hosting weddings at Green Acres Farm, but the first bride comes with a globe-trotting brother. Noel Kenzie's reforestation company provides him the means to enjoy life. This is no time for him to settle down… or Claire to spread her wings. Sweetened with Honey, the third story, finds beekeeper Sierra Riehl hopeful to catch the eye of widower Gabriel Rubachuk, knowing he must first face the past. Yet as he begins to embrace hope and fall in love with her, reality changes. Sierra begins to suspect she can't give Gabe what he deserves, and their budding romance fizzles. But how can she trust him with her devastating secret? Tell me about your latest release, Sweetened with Honey. What exactly is “sweetened with honey”? Sierra has become a beekeeper as part of the girls' focus on growing their own food. She has a sweet tooth and believes everything tastes better sweetened with honey. In Psalm 19 David claims that God's word is sweeter than honey. Honey and sweetness become metaphors for a variety of issues in Sierra and Gabe's lives through the course of this novel. Why do you write “Farm Lit with a Christian worldview”? Is farm lit a book category of its own? If so, please explain. FarmLit.com (which happens to be one of my sites!) describes farm lit as "any literature that embraces the life of modern-day 'new' farmers. These stories can be fiction or memoir, and most often include city-bred heroines who head for an idealized rural existence and (often) find the man of their dreams riding a tractor rather than a horse or a motorbike." Farmers' markets, organic box programs, and vegetable gardening/processing have gone mainstream. My desire is to show "where food meets faith." I believe there are biblical reasons for choosing to care about where one's food comes from, and that story is a valuable tool in presenting the challenges and options. Do you write full-time and does payment from that work cover all of your expenses or do you keep a day job too? My job left me two years ago, and I've become a full-time writer since then, supplemented by some freelance work. I'm definitely not earning a living wage at this time and couldn't maintain this lifestyle if my husband didn't have a well-paying job. However, it's my goal to match my previous wages within the next two years. Where do you live? What is your favorite feature of your hometown? I live on a small farm in a mountain valley in southeastern British Columbia, Canada. It's the perfect place for a family of locavores because we have a unique climate. We grow a large percentage of our vegetables, berries, honey, and meat on our own land. We have organic wheat and other grains available locally as well as a wide range of fruits. There isn't much we can't grow or source locally. My office is in a small west-facing room upstairs, perfect for morning writing. My laptop sits under a window through which I can see my garden, several farms, and the trees and mountains beyond. I find the long view very restful. I also have the requisite bookcases as well as a large whiteboard and a large inspiration board. Everything needs to be portable because the room doubles as my preschool granddaughters' bedroom when they visit… and they are curious little monkeys! Where do you want to take your writing in the next five to ten years? I'm so thankful to be an indie author! In 2015 I expect to write and publish three novels and a novella to complete my Farm Fresh Romance series. I believe I can continue this pace until my husband retires in ten years, so that will be a lot of books in several series. I hope to continue writing much longer than that, but experience tells me to expect a slower output when he's around more. How does your faith in God play into your writing? My beliefs are intrinsic to every part of my life. I don't know how to write without my worldview showing through one way or another… not that I try to block it! My passion in food and environmental issues isn't mainstream Christian, though. Rather than "preach" my opinions on these topics, I tend to give my characters opposing viewpoints and let them duke it out on the page. How often do you write every week and how do you overcome writer’s block? My goal is to write an 80,000-word first draft every four months, which works out to about 5,000 words per week. The weekly goal is a great theory that hasn't quite worked for me, partly because I republished two novels and published three new (already written) ones in the past four months. First drafting got relegated to snatches of time, but I'm back on a roll lately and still expect to finish my current draft before Christmas. As for writer's block, I have several solutions. Sometimes the story has gone astray and I need to delete the last scene or two and take a different direction. Sometimes I break out the wild-colored dry erase pens and mind-map on my three-by-four-foot whiteboard until a solution comes to mind. And then there's prayer, asking God to help me find the story He wants to deliver to my readers. Do you have an agent and traditional publisher? If yes, please share the story of how this happened. In January of 2011 I sold a novella to Barbour in a collection with three author friends. This netted me an agent and, for a time, I really believed I was on my way. Several of the proposals my agent shopped received solid praise and one went to pub board three times. But that wasn't the path God had for me. In the spring of 2013 I let my agent go planning to go indie, but then accepted a small pub's contract offer on the three book Farm Fresh Romance. That small house shut to fiction just after the release of the second novel, and I regained my rights. Looking back, I'm thankful for each step of the journey and especially for where I have landed up, with all but one of my stories under my control. Being an indie author is the most amazing thing ever. Are you married? Do you have kids? What do you and your family do for fun? Give my readers a glimpse into your personal life. I've been married to the same guy for 34 years. Our two kids are married with children, and my three young granddaughters are the light of my life. I love hanging out with them, bouncing on the trampoline, reading stories, or letting them "help" me in the kitchen and garden. Farming and gardening takes a lot of our time. When we get the chance, we like to pull our little holiday trailer up beside a mountain stream and spend a weekend fishing, hiking, reading, and soaking up nature. 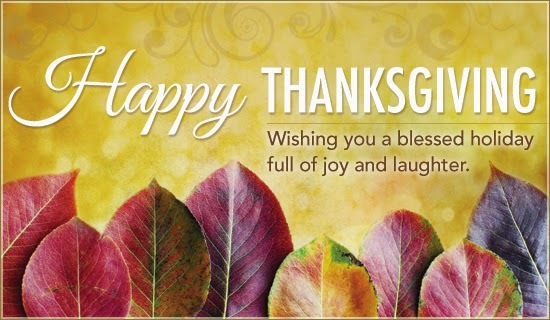 What are you looking forward to the most about the Thanksgiving holiday? Do you have favorite holiday dessert? Please give details. I'm Canadian, so I celebrated Thanksgiving the second Monday of October. I love the timing of our holiday because my girls and I try to make our entire feast with food from our farm, garden, and surrounding area, and so much is available in October! Pumpkin desserts rule. My daughter brought pumpkin pie, and my niece made both pumpkin cheesecake and pumpkin macaroons. We enjoyed dessert for an entire week. Alexis: Thanks for the interview, Valerie! Please provide a question for my readers to answer so they can enter the book giveaway and have a chance to win a digital copy of your book Sweetened with Honey. Valerie: Sierra loves everything better if it's sweetened with honey, including her homemade coffee mocha. What do you think tastes better with honey? Today I am especially excited to share the story of a new favorite author of mine, Krista Phillips! She's a wife, mother, blogger, writer and author of two captivating books! Recently, I read Krista's book, A Side of Faith, and loved it! The content was solid, the topics were real and the characters are memorable. So after you read this author interview of Krista Phillips, I suggest that you follow the purchase links and buy both of her books. Your money will be well spent because you most likely will enjoy reading her stories. Now for the exciting news: Krista is doing a book giveaway where two winners will each receive one of her books! The winners may choose to receive either an e-book or signed paperback copy from Krista. To enter the contest, answer Krista’s two questions at the end of this author interview. You must leave your e-mail address in your comment in order to qualify for this contest. *New* info: The contest starts today (Nov. 16) and ends on Sunday, Nov. 30. Alexis will choose the winners via a random drawing and announce the winners on Monday, Dec. 1. Alexis: Tell me about your website, Writer’s Alley “Where Stories and Friends Meet”. When was it created? Who are the founders? Why was it created? Krista: I LOVE the Writer's Alley... but I definitely don't claim it as my website! It is a blog founded by originally 5 of us who wanted an outlet for talking and blogging about writing outside of our personal blogs. We've grown to 11 now, and we've had some members come and go, but the cool thing is, it's become more than a blog. We've become a little family. My fellow alleycats are some of my dearest, bestest friends. And the blog has become a meeting place where stories and friends really DO meet. Our goal is to share the writing journey with each other, learn from each other, and encourage each other along the way! 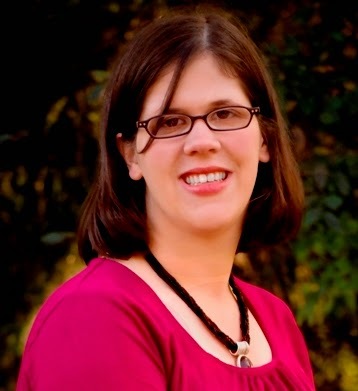 Share the story of how you met and signed with your agent, Sarah Freese of Wordserve Literary. That's an interesting subject, actually. Sarah is my second agent. I have a deep amount of respect for my original agent, and she helped me finagle all the ins and outs of my first traditional published book, but it became evident over the last year that we just weren't a fit for each other. This past summer, Sarah was actually referred to me by a fellow alleycat who works for Wordserve. Sarah and I chatted quite a bit back and forth, as I really wanted ensure the FIT was right, and that I just wasn't snatching up the first agent who showed interested and risk ending up right back where I started. But goodness. I love my new agent. I can be 100% my crazy, a bit sarcastic self, and she deals with it and supports me still. She's definitely a great fit for me, and I hope she'd say the same! How many books have you published? What are your biggest dreams for your writing career? Two. 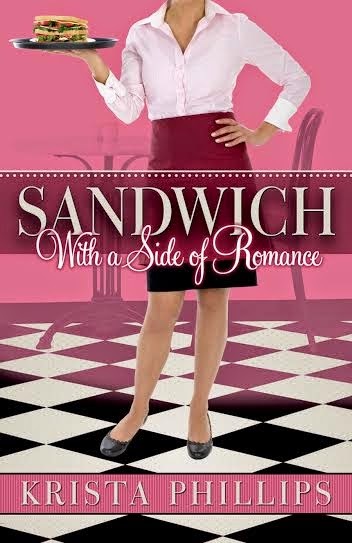 Sandwich with a Side of Romance was my debut novel in 2012, and my follow up novella, A Side of Faith, released August of this year. My biggest dreams for my career? That I can be true to the calling God has put on my life to share the stories he gives me, while using it to help support my family and allow me to continue to stay home with my four kiddos. That might be a little blunt and honest, but there it is. 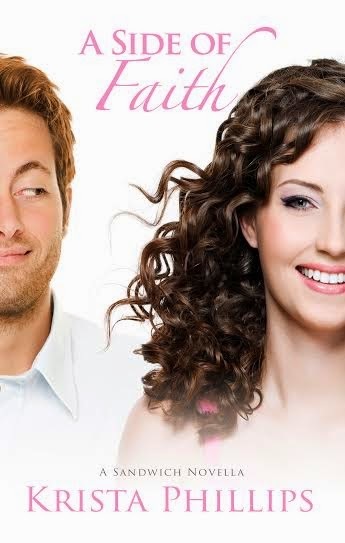 Is your book A Side of Faith the sequel to Sandwich with A Side of Romance? Please explain. Yup, it sure is! It is the first of three novella sequels (each can stand alone, though) titled A Side of Faith, A Side of Hope, and A Side of Love. I'll be finishing the Sandwich series off with another full length novel titled The Greatest is Love. What are you working on now? Can you give us a glimpse of your next story? I'm currently finishing up A Side of Hope as well as putting the finishing touches on the proposal for a new series, the first book titled The Price of Love. I'm super excited about the new series. Confession: I'm one of those crazy women who like watching The Bachelor/The Bachelorette. So the first book in the series is a bit of a nod to that. But in a twist, it actually begins six months AFTER the show has ended and after the heroine's life has been ruined by none other than the hero. You say you don’t write for your bank account. Please explain what you mean. HA! I say that, yes, and then above I also say I hope to help support my family! But it is true. Writers aren't known for their large salaries, at least 99% of us aren't. I don't write to fill my bank account. I write to obey God and to encourage others in their walk with Jesus, in particular, other women. Do I hope my career as a writer helps pay bills eventually? Absolutely. But it isn't why I write. I'd still write even if I knew I'd never make a dime. Why do you believe God called you to be a writer? When did you receive this calling and how has it played out? If I was writing and God had not called me to do so, I'd be disobeying him, because I'd be following a calling that wasn't mine to follow. So yes, I definitely do. I think I knew for a long time that I'd write. I dabbled, but it just wasn't time. But in 2007, God cleared his throat and told me it was time, and for the first time in my life, words flowed. How has it played out? Well, I can definitely look back on the journey and see mistakes I've made. How had I made a few small, difference choices and listened better, things might have been different. But living with regret doesn't change a thing, and I'm super content where God has me in my writing life right now. I press on toward what He has for me in the future, and trust him with it! What role does your faith play in your work as a Christian fiction writer? Everything. Or at least, it should. I used to work in the Corporate world, and I always said, I don't deposit my faith in the elevator on the way up and pick it up on my way out. My faith colors everything I do and say, including my writing. My life, every piece of it, I lay at the feet of Jesus and pray for his guidance and blessing. My writing included. Where do you get the inspiration for creating your fictional characters? 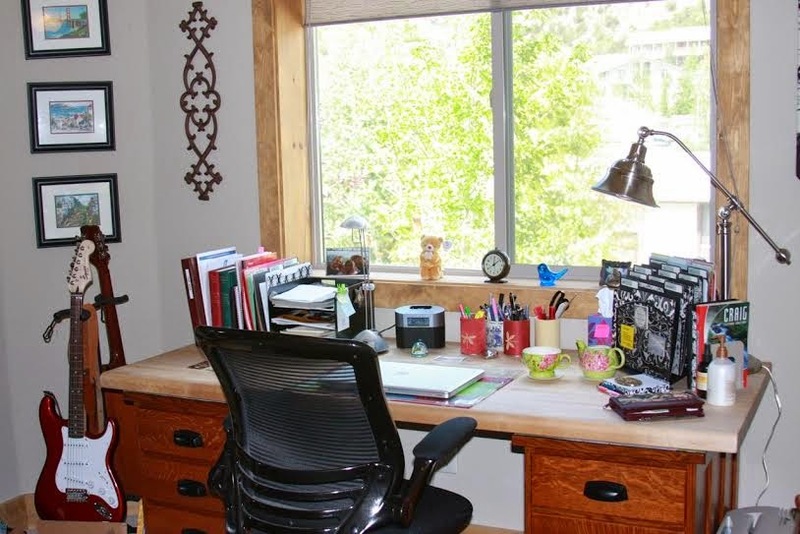 Do you have a special writing space? If yes, describe it. Nope. I am a mom of four kids. I write a LOT of different places. Sometimes on the couch, sometimes at my desk, sometimes in bed late at night. Other times I take myself off to Starbucks or Panera or the library to get away from kiddos to write. I've learned to make do with what I have in the moment that God has given me! On your website, you described marriage as “hard work” that’s “worth every bit of effort.” What words of wisdom do you as a married woman and romance writer, have for the “hopeless romantics” who see marriage through rose colored glasses? Keep your rose colored glasses handy. You'll need them! Marriage is joining two people who have opinions that don't always match up, cultures that don't always agree, and ideals that aren't always the same. There is BOUND to be conflict. Advice would take a whole book, I think, but to sum it up: Show love, forgive a lot, and make Jesus the center of your marriage from day one. A cord of three strands is not easily broken! You are a mom of four girls! Congratulations! How do you and your husband manage your family of six and when do you find time to write? Um.... we don't? I don't view it as managing. That sounds so... business like, LOL. We live life together as a family. We teach our kids the best we can. We have fun and silly moments. We take time to go on dates, and we take our kids on dates. We make sure they know how absolutely loved they are, even when we have to say no to things because those things don't fit into our crazy schedule. We go into knowing we won't be perfect parents, and thankful that God's grace covers our failings. I view writing as my "job", and since it's my job, I have to make it a priority sometimes. My kids have chores and pitch in and help around the house. That's what a family does, they help each other. Maybe that isn't the best answer, but it's the one I have. We just take each day as it comes, do our best, and give the rest to God. What advice do you have for unpublished authors seeking a book deal and an agent? Read a lot. Write a lot. Pray a lot. Lay each manuscript before Jesus' feet and say, "Not my will but THY will be done. "And trust that God knows what he is doing and will guide you each step of the way. Every writer has a muse. What’s yours? My muse is usually this crazy voice in my head coming up with all these silly ideas. The intelligent part of my brain has to figure out which idea is actually worth something and toss out the rest. The crazy voice isn't always happy with her ideas being trashed, but she gets over it. Who’s your favorite author? Why? Francine Rivers because I've never read a book of hers that I haven't been totally, completely in awe of. Is there a favorite book by a Christian author that has inspired you as a writer? If yes, please explain. Faking Grace by Tamara Leigh. I laughed hysterically, and it sealed the deal that I wanted to bring a smile to people's faces when they read my books. I think a lot of us women could use more smiles in our day! What’s it like being a Christian woman and writer in today’s world? What would you say are the unique challenges and benefits? The challenges, for me, are the social issues of the day. It is such a balancing act to show God's love for EVERYONE yet still stand up for your beliefs. So many Christian women spend so much time judging each other and putting each other down because of this, when all that does is give the enemy a foothold in ALL our lives. It's something I struggle with and pray about daily. At the end of the day, what keeps you going? Explain. God and Dr. Pepper. I don't think an explanation is needed! Alexis: Thank you for the interview, Krista! Is there a question you’d like to ask my readers? If so, please write it now. Krista: Thank YOU for having me! You've really challenged me with YOUR questions, goodness! My question for readers—actually, I'll do two—one fun and one serious. 2.) How can I pray for you today? Today, I'd like to introduce you to a seasoned author named Eleanor "Ellie" Gustafson. 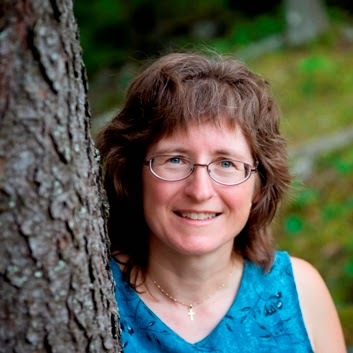 Not only is Ellie a seasoned author but she knows how to make maple syrup from scratch--she takes it directly from the sugar maple trees located on her farm in Vermont! Alexis: Do you go by Eleanor or Ellie? Eleanor: I was never terribly fond of the name Eleanor, and when another Eleanor in our church started going by Ellie, I thought, Why not? I like it! Actually, the British pronunciation—El-a-nah—is much more graceful. I could live with that. I had been making up stories all my life but didn’t write any of them down until my late thirties. I tentatively showed my mother an early short story, and she told me to stick to music as a career. I disobeyed. I write because I must. God planted a love of story in my heart and I try to use that gift to lift up His name. Story is a way of communicating truth. Jesus was a master of story, and His listeners usually got the point, though sometimes his disciples didn’t. I have five novels in print, though one was self-published. My large, Mac computer makes it special—a marvelous tool for doing almost anything. Otherwise, the office my husband and I share is pretty messy and utilitarian. Did you spend your lifetime as a published author or do you have a day job? Please explain. I do not have a day job, but my life has been filled with an assortment of experiences and responsibilities. We just celebrated 50 years as tree farmers on our acreage in Vermont. We’ve done timber-stand improvement to help produce top-quality timber. For instance, veneer-quality logs can bring as much as $6000 per thousand board feet at the mill. In the process of removing undesirable trees, we have worked up tons of firewood, selling some but using most to heat our “homemade” house. And we have made maple syrup—a fun, early spring experience. See next question. You’ve been a minister’s wife, teacher, musician, writer and encourager. You’ve also built houses and made maple syrup! What an illustrious life! Please tell me how you did it all, and please share your recipe for maple syrup! Our recipe for maple syrup (the simplified version): First you locate some sizeable sugar maples, then bore holes, tap in spiles (spouts), hang buckets or rig up tubing. Once the sap is in hand, you get a fire roaring underneath the evaporator and watch the steam roll off. When the syrup gets thick enough, you pull it off, strain it through felt and eventually bottle it. Along with a lot of work, it takes about 40 gallons of sap to make one gallon of syrup. We have not made syrup for several years, lacking the time and energy that family helpers used to contribute. Good stuff, though, and now you know why it’s so expensive. For fiction, I love the classics—Jane Eyre and Pride and Prejudice topping that list. For contemporary writers, I like Angela Hunt, James Scott Bell, Anne Perry. Non-fiction—Eugene Peterson is my spiritual mentor, casting new light on Christian concepts. 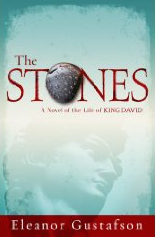 He also endorsed my biblical novel The Stones: A Novel of the Life of King David. In my eyes, Dr. P. can do no wrong. Other quality spiritual writers are Henri Nouwen, Tim Keller, and Philip Yancey. What holiday stories would you recommend to my readers? I love Amahl and the Night Visitors by Gian-Carlo Menotti and Roger Devoisin. It's a children’s book but rich enough for adult taste. On your website, you said your life has been “full and rich, a grand mix of tears and laughter.” What do you mean? Please share an anecdote. Another important aspect of my life involves Sunday morning interactions, a relatively new thing that God has developed in me. I look for newcomers, someone standing alone, people I know are struggling, folks who might be heavy into tattoos, dreadlocks, or face jewelry. I try to engage, to listen, sometimes to pray. When the (church) service begins, I seldom get through the whole hour without crying or being touched in some way by the love of God. After four hours of this, I go home, exhausted. We rest, walk, read, or watch TV, but my computer stays off all day. Do you have a literary agent? If yes, who? Please share the story of how you two started working together. Joyce Hart of Hartline is my lady. 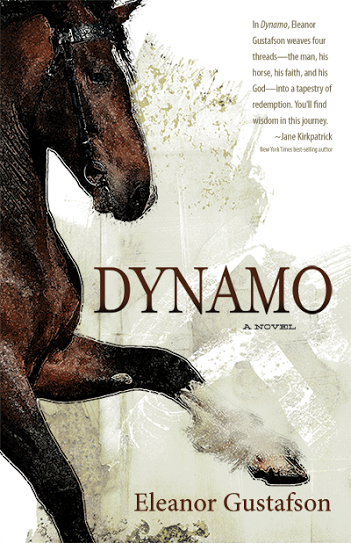 When Whitaker House declined to publish Dynamo, Christine Whitaker hooked me up with Joyce. We worked together for a year or so, but then Whitaker House changed its mind about the book. Again, a God thing. Who is your book publisher? Zondervan published my first two novels, I self-published the third, and Whitaker House has done the last two. Are you working on more books? If yes, please share a synopsis. The sick stranger in Linda Jensen’s garden can drink water, but inevitably, water in means water out. She holds a jar for him, but her caring act becomes hugely significant when the stranger’s identity is revealed and the awkward incident hits the headlines. An Unpresentable Glory weaves together three threads: gardening, American Indians, and politics. One pre-reader said that the Epilogue alone demands that the book be published. What would you say has been the hallmark of your writing career? I believe the greatest honor I have received was Eugene Peterson’s endorsement of The Stones. He is a kind man, and his name alone has sold many copies of that book for me. I have also been humbled by the positive reviews my books have received. Check Amazon for both Dynamo and The Stones. Thanks for the interview Ellie! If there’s a question you’d like my readers to answer, please write it here. You people out there—do you read for escape/entertainment, or do you like to grapple with meaty reading material? One is not better than the other; it’s personal preference. I like deeply engaging stories, but sometimes I’m not up for grappling, and an easy read is the best I can do. I’d like to get your take on it. Apple IIe computer that she had no idea how to operate. The novel was well received, however, which led to more novels and more painful learning experiences. In many of her stories, Ellie explores the cosmic struggle between good and evil in light of God's overarching work of redemption. Having graduated from Wheaton College in Illinois--where she met her husband while teaching horsemanship (funny story there)--she has since been actively involved in church life as a minister's wife, teacher, musician, writer, and encourager. A host of other experiences, from mice wars to house building, help bring color and humor to her fiction. She does like to laugh a lot. Ellie and her husband live in Massachusetts, where he teaches online college courses in philosophy. They travel a fair amount, spend time with three children and eight grandchildren, and enjoy camping at the family forest in Chester, Vermont. Sermon "Where Is God When I'm Afraid?" by Pastor Steven Furtick from Elevation Media on Vimeo. Today, I will introduce you to a notable author who has published more than 30 books! She is an avid reader, admirer of the color blue, and good at writing fictional romance stories based on her real, firsthand experience with the love of her life. Amanda Cabot is her name and she has wonderful words to share with you! Alexis: Congratulations on receiving a starred review from Publishers Weekly! What were your first thoughts when you learned of this news? Amanda: I was speechless, which doesn’t happen very often, and I had tears of joy in my eyes. I’d hoped for a PW review, and of course I hoped they wouldn’t hate the story, but receiving a starred review was more than I’d dreamt of. When did you know you were meant to be an author? Share your story of how your dreams became a reality. I’ve always wanted to write. From the time I was seven, when reading was my favorite pastime, I thought the most wonderful thing in the world would be to be a writer. It took a while before I actually submitted a manuscript to an editor, but once I did, there was no turning back. And, no, that first story didn’t sell to the first editor, but I was fortunate enough to sell it to the second one. Why do you write historical romances? There are a couple reasons. Let’s start with the historical part. I enjoy research, particularly when it means that I get to immerse myself in a different time period. It’s such fun to see how people lived in “olden days.” And, once I’ve done all that research, I love sharing tidbits with my readers. As for romance, I’ve always been drawn to stories of characters who have to surmount seemingly impossible obstacles to find their happily-ever-after. How many books have you written? I see you’ve written a few book series. How exciting! Tell me about it. Are your only series Texas Dreams and Westward Winds? Please share the concept for each book series. At this point, I’ve published over 30 novels and half a dozen novellas. My earlier books were written for the secular market under a variety of pseudonyms. But for the past seven years, all of my writing has been for the Christian market. It’s been a wonderful change for me in many respects, not the least being the knowledge that this is what God wants me to be doing. The Texas Dreams and Westward Winds trilogies were my first series for the Christian market. Although they’re very different stories, in both cases, they were inspired by places I particularly like: the Texas Hill Country for Texas Dreams and Wyoming for Westward Winds. Each series was both fun and a challenge to write. The challenges in Texas Dreams related to the heroines’ backstories or, in the case of Priscilla (Scattered Petals), the events of the first chapter. Each of my heroines had to overcome a difficult past, and that made certain aspects of each story painful to write. Still, readers’ reactions to those books reaffirmed my decision to focus on the healing power of love. The challenge to the Wyoming books was different. I set them in real places – Fort Laramie and Cheyenne – and had to do extensive research to ensure that all the details were accurate. Believe me, I agonized over that and wondered more than once why I’d decided to use real places rather than a fictional location like Ladreville, the setting for the Texas Dreams books. Fortunately, all of my research paid off when the U.S. Park Service cited the authentic details as one of the reasons they chose Summer of Promise for the Fort Laramie bookstore. Both of those series are complete at this point. But since so many readers have told me that they want to know more about the residents of Ladreville, I’m considering a second trilogy to follow Texas Dreams. Right now, though, my focus is on the Texas Crossroads trilogy, of which At Bluebonnet Lake is the first book. Tell us about your first contemporary book At Bluebonnet Lake. What inspired you to write it? Would you believe the inspiration was a leaky roof at what should have been a four-star resort? The reality of a resort on its last legs was far different from the glossy brochure, but as is often the case with unpleasant experiences it gave me the seed of an idea that led to the whole Texas Crossroads trilogy. Your book The Christmas Star Bride will be available for purchase on Dec. 8. Would this be your next novella? Why should my readers buy it? Yes, The Christmas Star Bride is my next novella. One of the exciting things about it is that it’s part of The 12 Brides of Christmas collection, a series of twelve stories featuring – you guessed it – Christmastime romances. Each of these will be released in e-book format one each Monday starting September 23. As you might expect with twelve different authors involved, the stories are all quite different. You worked as a computer programmer. Are you retired now? How did you find time to write all of these wonderful books while keeping a full-time job in another career? My husband and I were fortunate to be able to take early retirement and fulfill our lifelong dream of moving to the West a few years ago. Prior to that, I wrote two books a year by writing whenever I could find a spare minute. I won’t claim that it was easy, and I’ll freely admit to many years of sleep deprivation, but writing has always been an important part of my life, and when something’s important, you make time for it. You’ve said that writing is who you are and what you are meant to be. Why do you believe that to be God’s plan for your life? He told me. Oh, not in so many words, but He answered my prayers. He brought me the agent I wanted at exactly the right time; He gave me not one but two publishers interested in my book; and He’s sent me readers who have told me that my stories have deepened their faith and helped restore their belief in God’s love. I’ve written everywhere from airports and planes to hotel rooms and friends’ guest rooms, and for many years my office doubled as a guest room. Now that I’m retired and living in Cheyenne, I’m fortunate to have a dedicated office. I have three pieces of advice. The first is to read extensively in the genre you want to write. That’s the best way to learn what publishers are buying. Secondly, join a writer’s group. ACFW is wonderful for writers in the Christian marketplace, and Romance Writers of America is excellent for anyone interested in writing romance. A writer’s group provides support, networking and so many other resources to the aspiring writer that I can’t over emphasize the importance of joining one. And lastly, never give up. Rejection is a fact of life. I won’t sugarcoat it: rejection hurts. But if you let it defeat you, if you stop sending out your manuscript just because it was rejected, you’ll never be published. Believe in your book and in yourself. Oh … that was four pieces of advice. Sorry! Tell me about your family. Are you married? Do you have kids? Share the lovely details. One of the reasons I write romance is that I have firsthand experience with true love and happily-ever-after. I met the man who became my husband when I was a junior in high school and knew from the beginning that he was the one for me. We’ve been married for more years than I can admit if I want to continue the myth of being twenty-nine, have no children and share a love for travel, particularly by car. What is your favorite color (explain why)? Blue. It comes in so many wonderful shades and reminds me of the beauty of an autumn sky or the sparkling waters of a glacial lake. Complete this sentence: During my writing journey, the most valuable lesson I have learned is _________________because _____________________. During my writing journey, the most valuable lesson I have learned is patience, because God’s answers may take longer than you expect, but His timing is always perfect. Alexis: Thank you for the interview Amanda! Is there a question you’d like to ask my readers? Amanda: Thanks so much for the opportunity! I’m curious about your readers’ reading habits, so here’s my question: Do you prefer contemporary or historical novels and why? 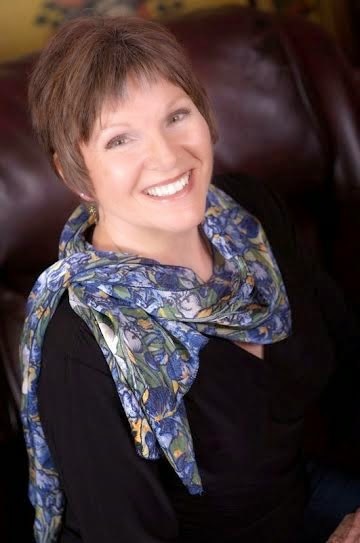 Amanda Cabot is the bestselling author of more than thirty novels including the Texas Dreams trilogy, the Westward Winds series, and Christmas Roses. A former director of Information Technology, she has written everything from technical books and articles for IT professionals to mysteries for teenagers and romances for all ages. Amanda is delighted to now be a full-time writer of Christian romances, living happily ever after with her husband in Wyoming.